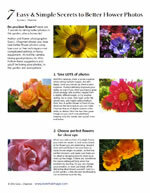 Check out my new book, Flowers of Volunteer Park Conservatory. 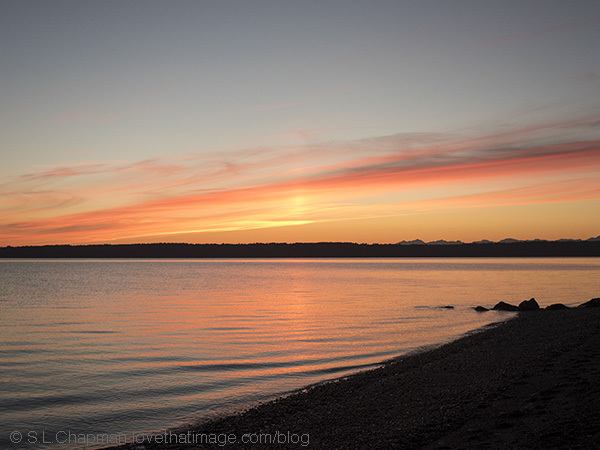 And welcome to Sara's Fave Photos Blog at Love That Image. My goal is to take a photo that is as compelling and beautiful as in real life, with no or minimal Photoshop work. You may copy a photo but link to lovethatimage.com. Thank you for your thoughtful comments, and thanks for visiting. Published Friday, January 11, 2019, OK personal/derivative use; link www.lovethatimage.com. 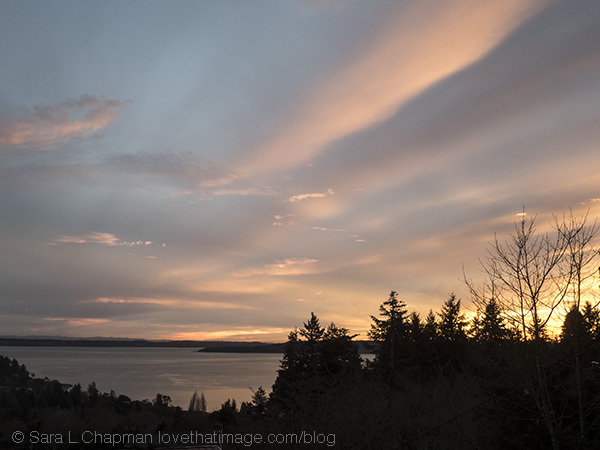 The first scenic photo of the year: today’s sunset from the overlook near my house. Linking with Through My Lens Monday, Good Random Fun Monday, Tuesday Cheesy Photo, Our World Tuesday, Pictorial Tuesday, Tuesday’s Wordless Wednesday, Wordless Wednesday, Wednesday Around the World (WATW), Weekend Reflections, Skywatch Friday, Friday Bliss, Pink Saturday, All Seasons Sunday, and Sunday Snap. Published Wednesday, January 2, 2019, OK personal/derivative use; link www.lovethatimage.com. I have posted about this Memory Jar before, but here it is again. A wonderful idea for your 2019 New Year! Starting January 1, write good things that happen to you on little pieces of paper. 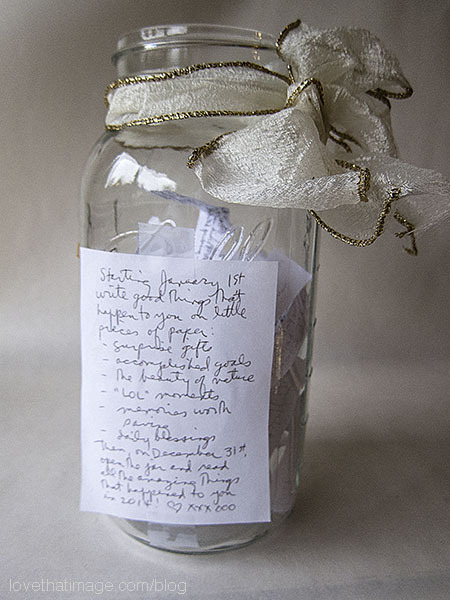 Then on Dec. 31, open the jar and read all the amazing things that happened to you this year. Create a memory jar for the year. So fun to read at the end of the year! Visit Through My Lens Monday, Macro Monday, Good Random Fun Monday, Our World Tuesday, Pictorial Tuesday, Tuesday’s Wordless Wednesday, Wordless Wednesday, My Corner of the World Wednesday, Friday Bliss, Weekend Reflections, Pink Saturday, Shadow Shot Sunday 2, My Sunday Photo, All Seasons Sunday, and Sunday Snap. Thanks for visiting here and please come back soon! Published Tuesday, January 1, 2019, OK personal/derivative use; link www.lovethatimage.com. Happy New Year to all, a holiday shared round the world. Wishing you health, inner growth and contentment in 2019. Joining Through My Lens Monday, Macro Monday, Good Random Fun Monday, Our World Tuesday, Pictorial Tuesday, Tuesday’s Wordless Wednesday, Wordless Wednesday, My Corner of the World Wednesday, Friday Bliss, Pink Saturday, Shadow Shot Sunday 2, My Sunday Photo, and Sunday Snap. Thanks for visiting here and please come back soon! Published Friday, December 28, 2018, OK personal/derivative use; link www.lovethatimage.com. Our Christmas Eve day tree. I like how it looks in the daytime almost as much as the nighttime. Connecting up with Through My Lens Monday, Good Random Fun Monday, Ruby Tuesday 2, Our World Tuesday, Pictorial Tuesday, Tuesday’s Wordless Wednesday, Wordless Wednesday, Wednesday Around the World (WATW), Weekend Reflections, Friday Bliss, Pink Saturday, Shadow Shot Sunday 2, All Seasons Sunday, My Sunday Photo, and Sunday Snap. Thanks for visiting here first. Published Friday, December 21, 2018, OK personal/derivative use; link www.lovethatimage.com. Today marks the start of longer days in the Northern hemisphere. Here comes the light! 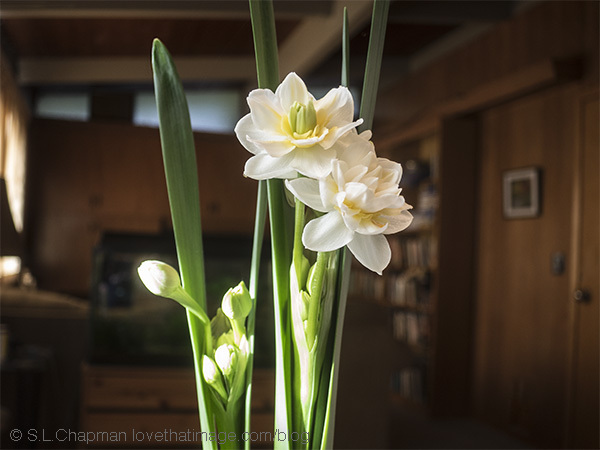 Happy Solstice to you, and may you take and enjoy lots of beautiful photos with the increased light. Connecting up with Through My Lens Monday, Good Random Fun Monday, Ruby Tuesday 2, Tuesday Cheesy Photo, Our World Tuesday, Pictorial Tuesday, Tuesday’s Wordless Wednesday, Wordless Wednesday, Wednesday Around the World (WATW), Weekend Reflections, Orange You Glad It’s Friday, Skywatch Friday, Friday Bliss, Pink Saturday, All Seasons Sunday, My Sunday Photo, and Sunday Snap. 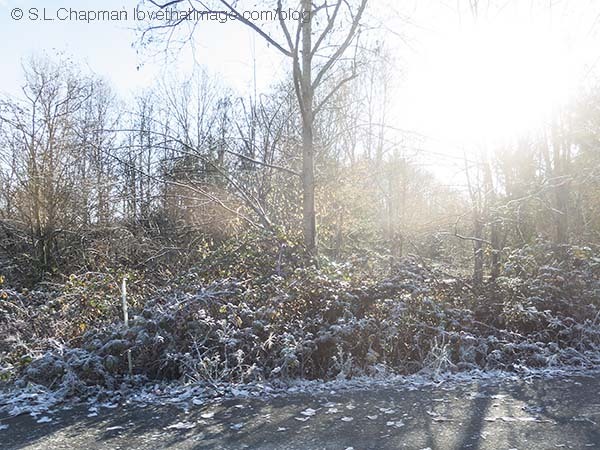 Published Wednesday, December 19, 2018, OK personal/derivative use; link www.lovethatimage.com. 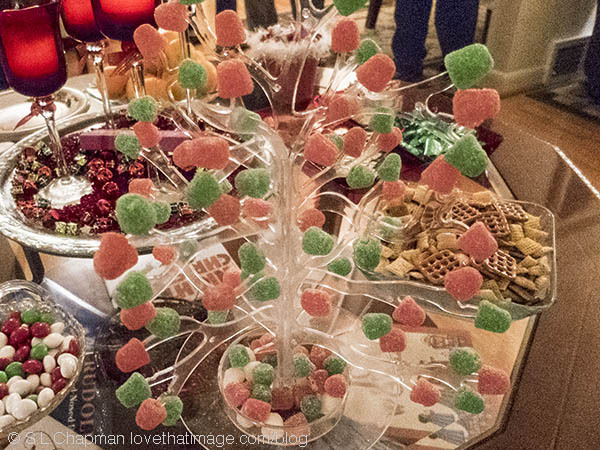 Not the greatest photo, but isn’t this Gumdrop Tree the cutest thing, from a zillion years ago? Linking to Through My Lens Monday, Good Random Fun Monday, Ruby Tuesday 2, Our World Tuesday, Pictorial Tuesday, Tuesday’s Wordless Wednesday, Wordless Wednesday, Wednesday Around the World (WATW), Orange You Glad It’s Friday, Friday Bliss, Pink Saturday, My Sunday Photo, and Sunday Snap. Thanks for visiting! Published Saturday, December 15, 2018, OK personal/derivative use; link www.lovethatimage.com. 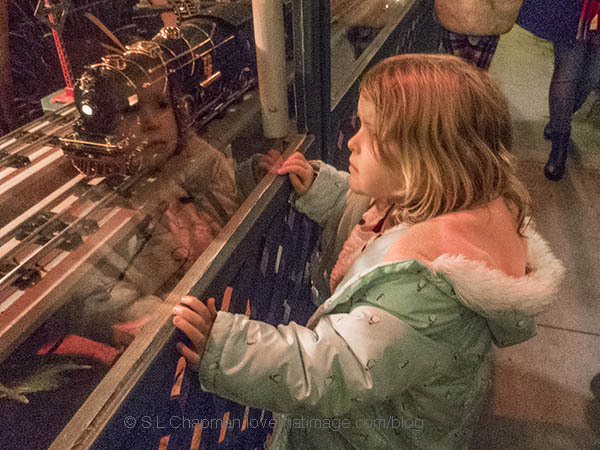 The Holiday Express at Seattle’s Volunteer Park Conservatory is a big hit with train fans of all ages. Connecting up with Through My Lens Monday, Good Random Fun Monday, Ruby Tuesday 2, Our World Tuesday, Pictorial Tuesday, Tuesday’s Wordless Wednesday, Wordless Wednesday, Wednesday Around the World (WATW), Weekend Reflections, Orange You Glad It’s Friday, Friday Bliss, Pink Saturday, Saturday Cheesy Photo, All Seasons Sunday, My Sunday Photo, and Sunday Snap. Thanks for visiting here first. Published Thursday, December 13, 2018, OK personal/derivative use; link www.lovethatimage.com. Poinsettias aren’t the only kind of Christmas flower. 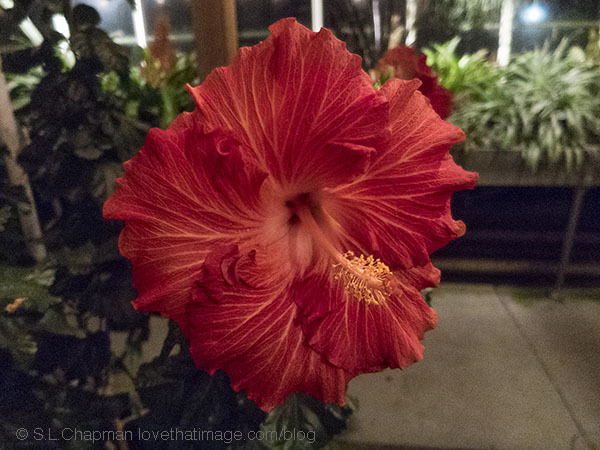 Behold the red hibiscus, as big as your hand. Connecting up with Through My Lens Monday, Macro Monday, Good Random Fun Monday, Ruby Tuesday 2, Our World Tuesday, Pictorial Tuesday, Tuesday’s Wordless Wednesday, Wordless Wednesday, Wednesday Around the World (WATW), Orange You Glad It’s Friday, Friday Bliss, Pink Saturday, My Sunday Photo, and Sunday Snap. Thanks for visiting here first. Published Monday, December 10, 2018, OK personal/derivative use; link www.lovethatimage.com. There was some very cold weather in the mornings last week. Linking with Through My Lens Monday, Good Random Fun Monday, Our World Tuesday, Pictorial Tuesday, Tuesday’s Wordless Wednesday, Wordless Wednesday, Wednesday Around the World (WATW), Skywatch Friday, Friday Bliss, Pink Saturday, Shadow Shot Sunday 2, My Sunday Photo, and Sunday Snap. Hope to see you around here again very soon. Published Thursday, December 6, 2018, OK personal/derivative use; link www.lovethatimage.com. 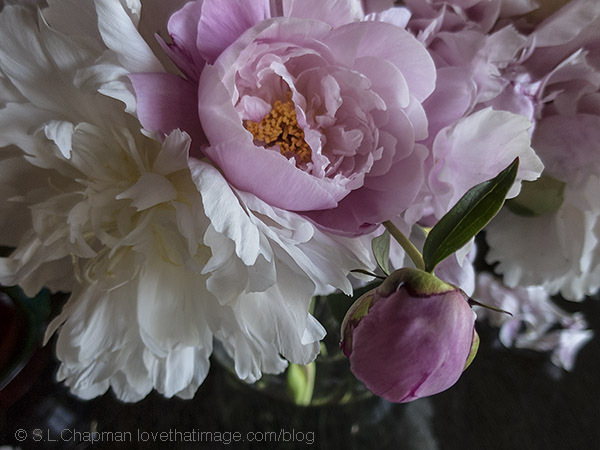 From the other side of the year, some peonies on a black glass table, from my garden. Pink and white peonies and a round bud in a bouquet. Connecting up with Through My Lens Monday, Macro Monday, Good Random Fun Monday, Our World Tuesday, Pictorial Tuesday, Tuesday’s Wordless Wednesday, Wordless Wednesday, Wednesday Around the World (WATW), Orange You Glad It’s Friday, Friday Bliss, Pink Saturday, My Sunday Photo, Shadow Shot Sunday 2, and Sunday Snap. Thanks for visiting here first. 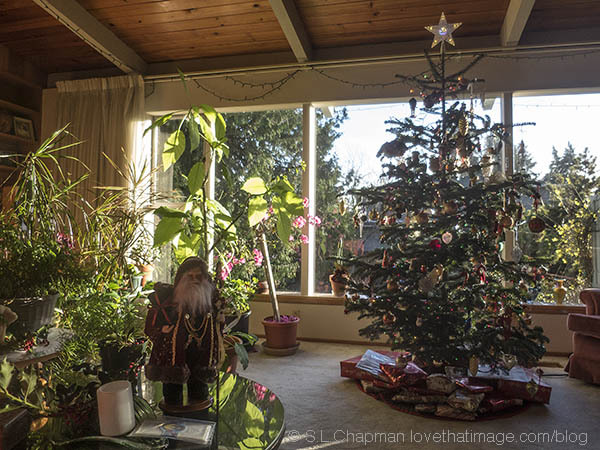 Published Tuesday, December 4, 2018, OK personal/derivative use; link www.lovethatimage.com. Here’s a view of Seattle you won’t see for very much longer, taken November 2016. 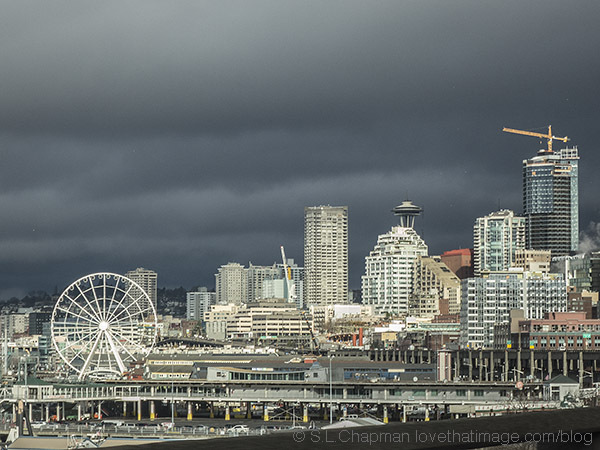 Note the Great Wheel, the construction cranes, the Space Needle, and the Viaduct roadway, soon to be torn down. Also linking with Through My Lens Monday, Good Random Fun Monday, Our World Tuesday, Pictorial Tuesday, Tuesday’s Wordless Wednesday, Wordless Wednesday, Wednesday Around the World (WATW), Skywatch Friday, Orange You Glad It’s Friday, Friday Bliss, Pink Saturday, My Sunday Photo, and Sunday Snap. Hope to see you around here again soon. Published Monday, December 3, 2018, OK personal/derivative use; link www.lovethatimage.com. 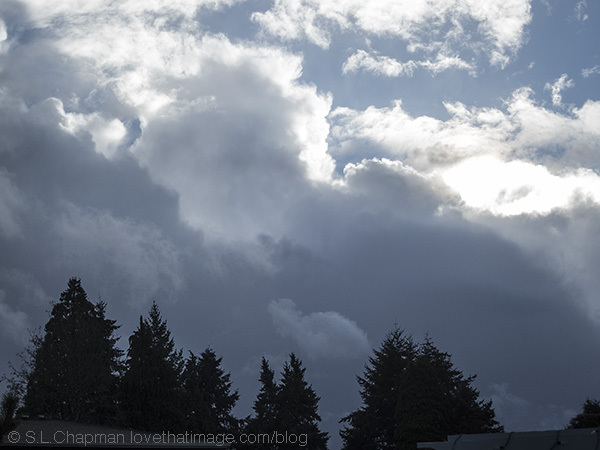 Finally the Seattle area got some rain last week. Here’s the sky in back of my house right before it got here. Also linking with Through My Lens Monday, Good Random Fun Monday, Our World Tuesday, Pictorial Tuesday, Tuesday’s Wordless Wednesday, Wordless Wednesday, Wednesday Around the World (WATW), Skywatch Friday, Friday Bliss, Pink Saturday, My Sunday Photo, and Sunday Snap. Hope to see you around here again soon. Take better photos of any kind without fancy equipment or settings. We will never share your email, we promise!